"My husband used to sleep well, but these days, even liquor cannot put him down?" She said when Ngoc went to Da Nang for a medical examination, doctors gave him a clean bill of health, except a minor decline in liver function. Ngoc currently lives on his 5ha farm at the foot of a mountain busy with farming and taking care of pigs and chickens all day. His six children live at their house in Que Trung. Ngoc often does extra farm work or guards his farm at night to prevent theft, saying he used three months of sleepless nights to dig two large ponds to raise fish. 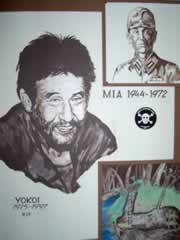 Shoichi Yokoi was a soldier, conscripted into the Imperial Japanese Army in 1941 and sent to Guam shortly thereafter. In 1944, as American forces reconquered the island, Yokoi went into hiding. On January 24, 1972, Yokoi was discovered in a remote section of Guam by two of the island's inhabitants. For 28 years he had been hiding in an underground jungle cave, fearing to come out of hiding even after finding leaflets declaring that World War II had ended. "It is with much embarrassment that I have returned alive," he said upon his return to Japan, carrying his rusted rifle at his side. 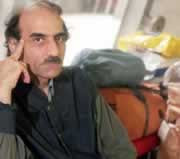 Mehran Karimi Nasseri, also known as Sir, Alfred Mehran (yes, including the comma), is an Iranian refugee who has been living in the departure lounge of Terminal One in Charles de Gaulle Airport since August 8, 1988. After he was later imprisoned, tortured and expelled from his country, he applied for asylum in many European countries without luck. When he decided to go to the United Kingdom, he claimed that he was mugged, and his shoulder bag stolen while waiting at the RER platform to go to Charles de Gaulle Airport to take a flight to Heathrow. Nasseri managed to board the plane, but when he arrived at Heathrow without the necessary documentation, Heathrow officials sent him back to Charles de Gaulle. Nasseri was unable to prove his identity or his refugee status to the French officials and so he was moved to the Zone d'attente (waiting zone), a holding area for travellers without papers. Nasseri was reportedly the inspiration behind the 2004 movie The Terminal. Unlike Tom Hanks' character in the movie, and since at least 1994, Nasseri does not live in the duty-free transit area but simply in the departure hall, in the circular boutiques and restaurants passage on the lowest floor. He can at least theoretically leave the terminal at any moment, although, since everyone knows him, his departure might not remain unnoticed. He does not seem to speak with anyone normally. With his cart and bags, he almost looks like a traveler, so people either do not notice him or ignore him as if he were a homeless person. 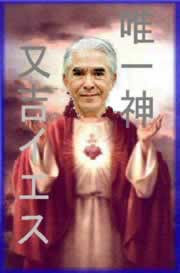 Matayoshi Mitsuo is an eccentric Japanese politician with the conviction that he is the God and Christ.According to his program, he will do the Last Judgement as the Christ but the way to do this is totally within the current political system and its legitimacy. His first step as the Savior is to be appointed the prime minister of Japan. Then he will reform Japanese society and then the United Nations should offer him the honor of its General Secretary. Then Matayoshi Jesus will reign over the whole world with two legitimate authorities, not only religious but also political. He has presented himself in many elections but he has not won yet. He has become well-known for his eccentric campaigns where he urges opponents to commit suicide by hara-kiri. Lal Bihari (born 1961) is a farmer from Uttar Pradesh, India who was officially dead from 1976 to 1994. He founded Mritak Sangh or the Association of the Dead in Uttar Pradesh, India. 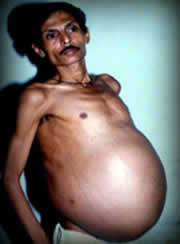 He fought Indian government bureaucracy for 18 years to prove that he is alive. When Lal Bihari tried to apply for a bank loan in 1976, he found out that he was officially dead. His uncle had bribed a government official to register him as dead so he would get the ownership of Bihari's land. Bihari discovered at least 100 other people in a similar situation, being officially dead. 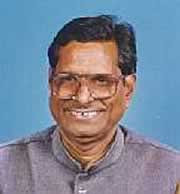 He formed Mritak Sangh in the Azamgarh district. He and many other members were in danger of being killed by those who had appropriated their property. Nowadays the association has over 20,000 members all over India. By 2004 they had managed to declare four of their members alive. In 2004 he ran for a seat in the parliament of Lal Ganj. 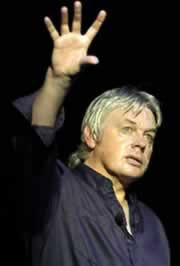 David Icke, is a former professional football player, BBC television sports presenter, and British Green Party national spokesperson. Since 1990, he has been what he calls a "full-time investigator into who and what is really controlling the world. ": reptilians. He dresses only in turquoise and sustains that the world was ruled by a secret group called "The Elite": a race of reptilian humanoids, known in ancient times as the Babylonian Brotherhood, and that many prominent people are descended from them, including George W. Bush, Queen Elizabeth II, and Kris Kristofferson. He believes that descendants of the reptiles engage in child molestation and Satanism. He is the author of 15 books explaining his views. After a five-hour speech to students, he received a standing ovation at the University of Toronto in 1999. 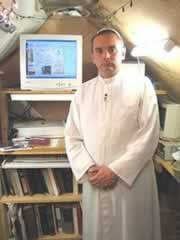 David Allen Bawden (born 1959), is an American citizen who was elected "Pope Michael I" by a group of six Conclavist or post-Sedevacantist Catholics, arguing that the elections of the last 6 popes were invalid because they are all modernists. Sedevacantists argue that if the College of Cardinals will not or cannot elect a valid pope, ordinary Catholics can do so, under the principle of "Epikeia" (Equity). Acting on the basis of this, David Bawden was elected Pope by six people on 1990 (including himself and his parents). He is still on the job to this day. 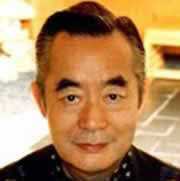 Yoshiro Nakamatsu (born June 26, 1928), a.k.a. Dr. NakaMats, is the Japanese inventor claiming to hold the world record for number of inventions with over 3,000, including the floppy disk and "PyonPyon" spring shoes. He has being photographing and retrospectively analyzing every meal he has consumed during a period of 34 years (and counting). The goal of Nakamatsu is to live over 140 years old. Michel Lotito (born June 15, 1950) is a French entertainer. Lotito, who was born in Grenoble, is famous as the consumer of undigestables, and is known as Monsieur Mangetout (Mister Eat-it-all). 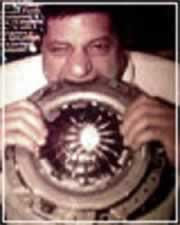 Lotito's performances are the consumption of metal, glass, rubber and so on in items such as bicycles, televisions, a Cessna 150, and smaller items which are disassembled, cut-up and swallowed. The aircraft took roughly two years to be 'eaten' from 1978 to 1980. He began eating unusual material while a child and has been performing publicly since 1966. Lotito does not often suffer from ill-effects due to his diet, even after the consumption of materials usually considered poisonous. When performing he consumes around a kilogram of material daily, preceding it with mineral oil and drinking considerable quantities of water during the 'meal'. He apparently possesses a stomach and intestine with walls of twice the expected thickness, and his digestive acids are, allegedly, unusually powerful, allowing him to digest a certain portion of his metallic meals.